An Email Campaign versus an Ezine: What’s the Difference? An email campaign versus an ezine: what’s the difference? As a freelancer, blogger, or content writer, you’ll be called upon to write both. But the terms are easy to confuse. If you don’t know what makes each one unique, then you will struggle with what to write or how to write it. A campaign of any type – a military offensive, a political race, or a young man’s romantic pursuit – is an activity conducted to achieve a goal. A military campaign is conducted out to capture a city. A political campaign is conducted to win a seat in government or to pass a law. A romance is conducted to win a girl’s hand. An email campaign, then, is an email (or an email series) that is written and sent to achieve a particular goal. The goal differs according to the kind of campaign. The most common email goals are click-throughs, sales, donations, or opt-ins. Thanks to today’s email management services, you can measure how well you achieve your email’s goal. Most business email campaigns are automated through these services. (More tips about writing automated emails). But the bottom line is this: “email campaign” is an umbrella term. E-zines, online appeals, registration forms, event invitations – all of these are different types of email campaigns. Know what you’re trying to accomplish with an email campaign so you can write the content to achieve that goal. E-zines, short for “electronic magazines,” are online newsletters. They are sent, received, and read on the internet, versus being printed on paper and mailed through the postal service. Like print publications, online magazines contain images and text. But electronic newsletters also feature videos and links. Like print magazines, an ezine is comprised of different articles of different lengths. But while a print magazine includes the articles in full, an e-zine rarely does so. Instead, your e-zine becomes a portal that links readers to your website. Once there, they can read the full article and maybe look around a bit more. That points to the most common goal for producing an e-zine: to give readers an opportunity to click through the email and get more information. Write article teasers with links to your website where the full articles live. This allows your online readers to skim headlines and leads and choose what articles to read in full. Your e-zine becomes a way to drive traffic to your website. 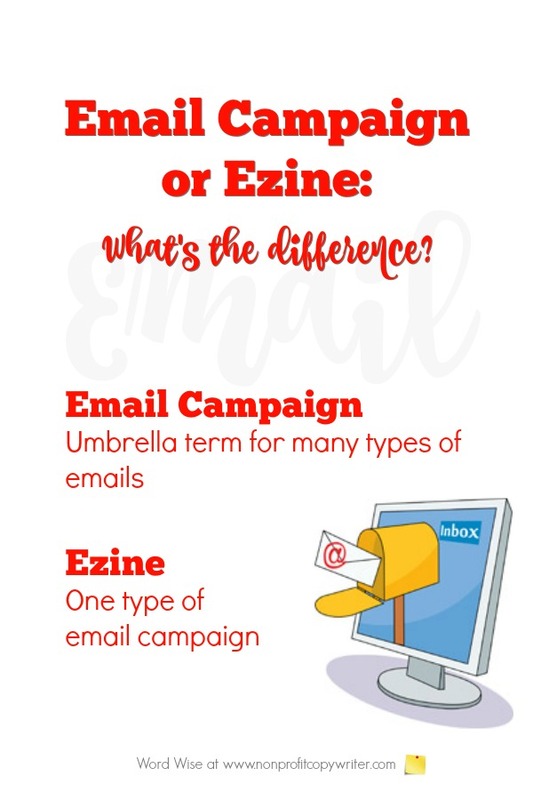 Email Campaign or Ezine – Which Is It? An email campaign is a broad category and includes many different types of emails. An e-zine is one type of email campaign. Return from Email Campaign vs. Ezine: What's the Difference?